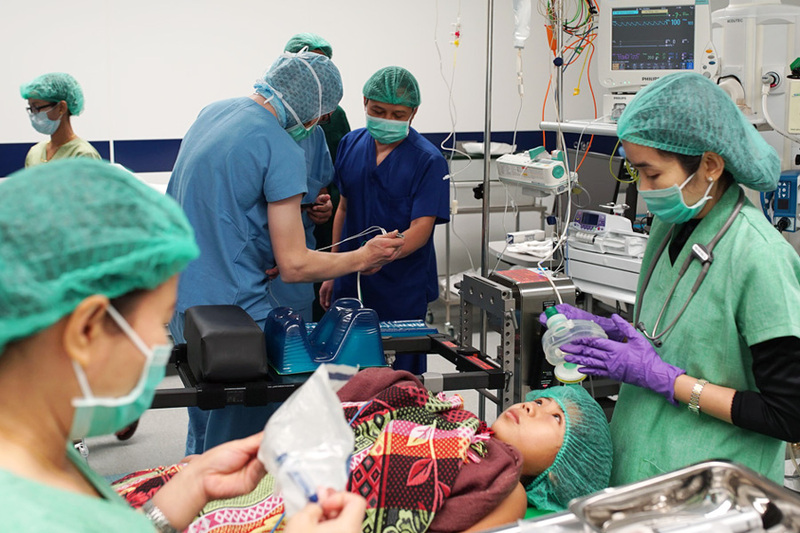 The aim of the Swiss Spine Foundation is to help train and develop young medical doctors and to treat patients – especially in developing regions such as Myanmar – in the area of spinal diseases. 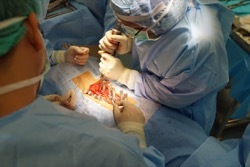 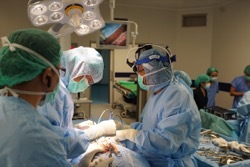 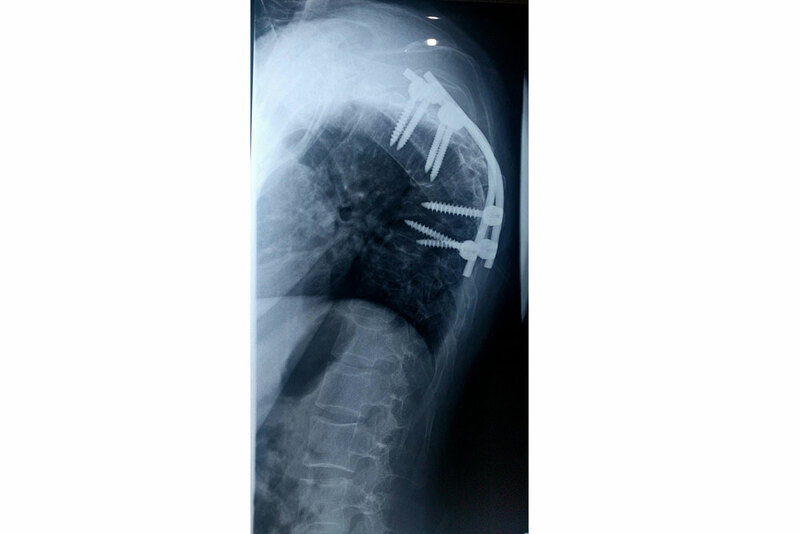 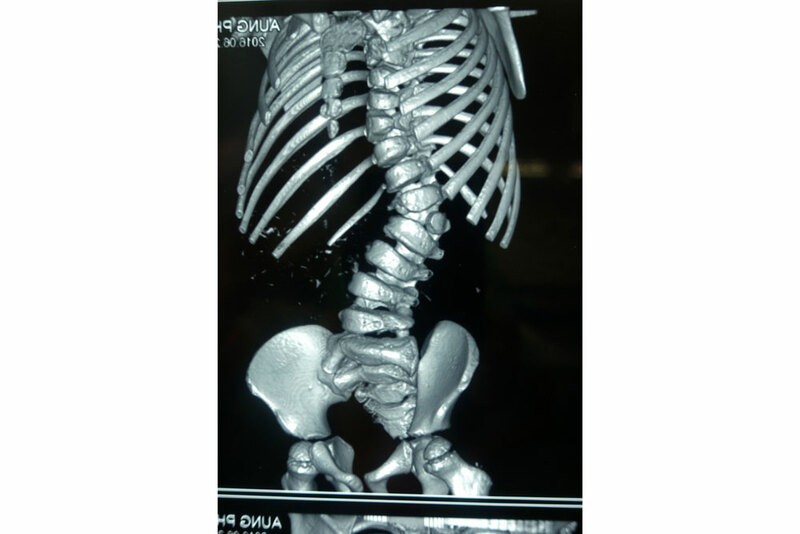 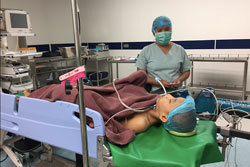 In doing so, the Foundation puts a particular emphasis on the treatment of children with complex spinal deformities and on research in the spinal surgery field. 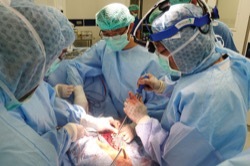 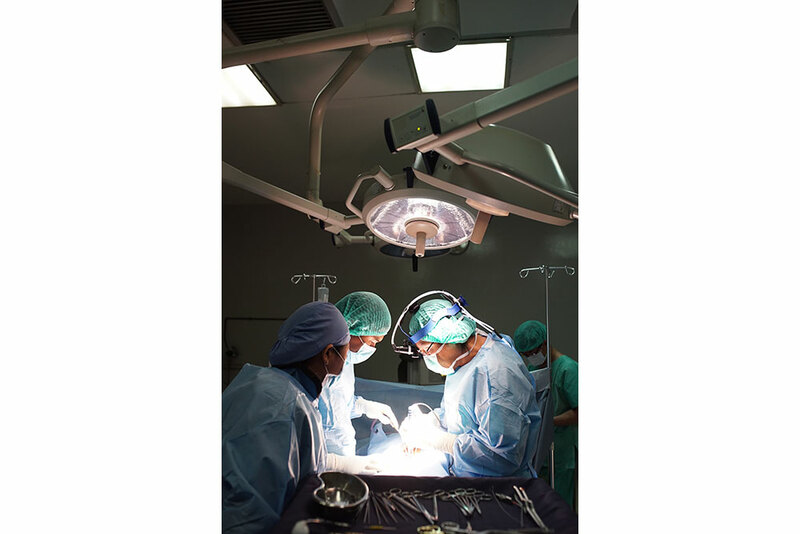 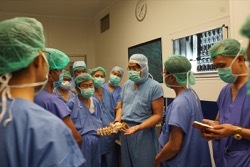 To these ends, a special Spine Fellowship Programme has been established to enable young spine surgeons to gain the practical experience required. 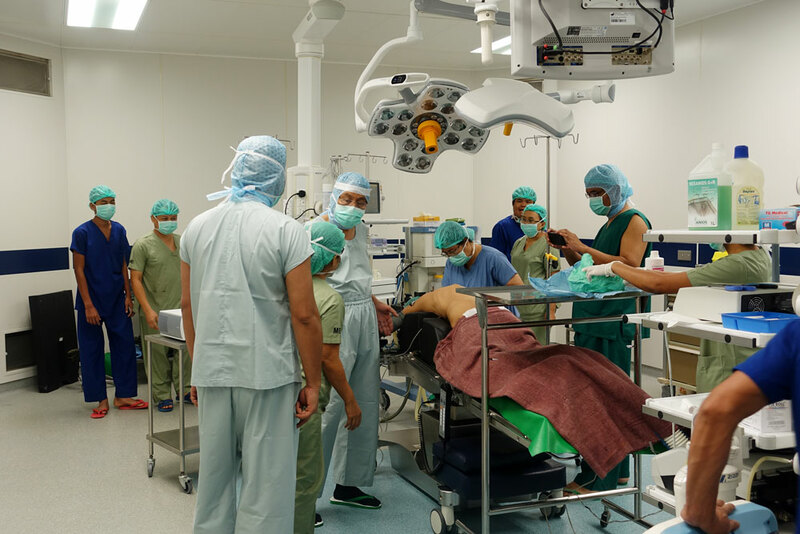 The Programme will see a team of Swiss specialists travelling regularly to the regions concerned to treat patients and train new doctors together with the existing local medical staff. 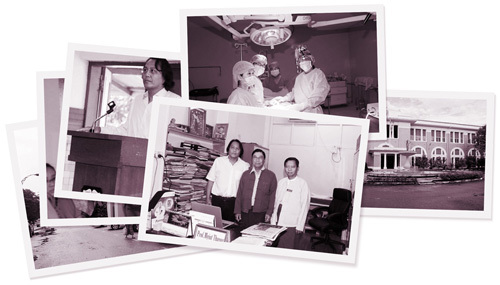 Professor Kan Min was born in Yangon, Myanmar. 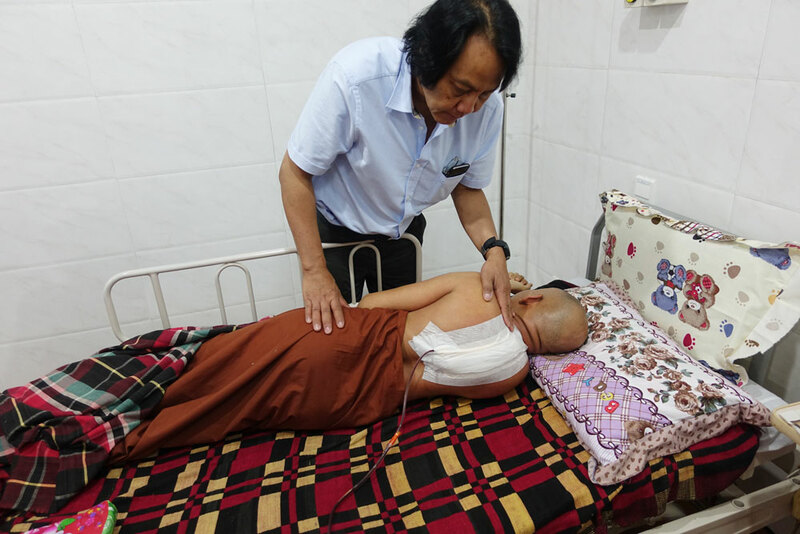 After completing his medical studies in Yangon he moved to Switzerland in 1990 for further training in orthopedic surgery, which he completed with the corresponding Swiss qualification in 1996. Dr. Min served as Head of Spinal Surgery in the Department of Orthopedics at the University of Zurich’s Balgrist Clinic from 1997 to 2014, in the course of which he also earned his full professorship. 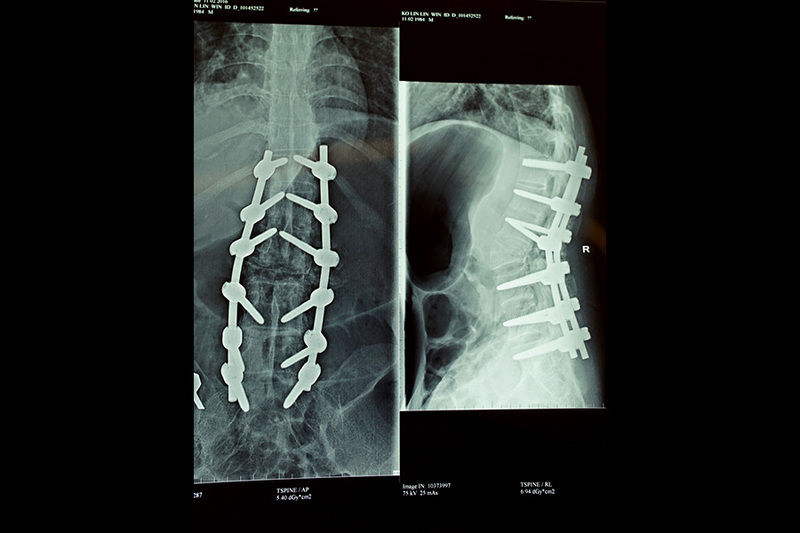 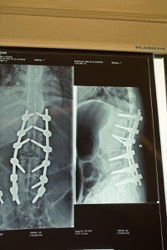 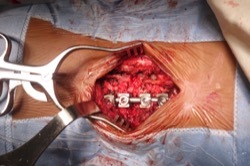 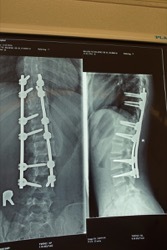 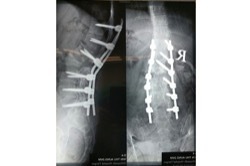 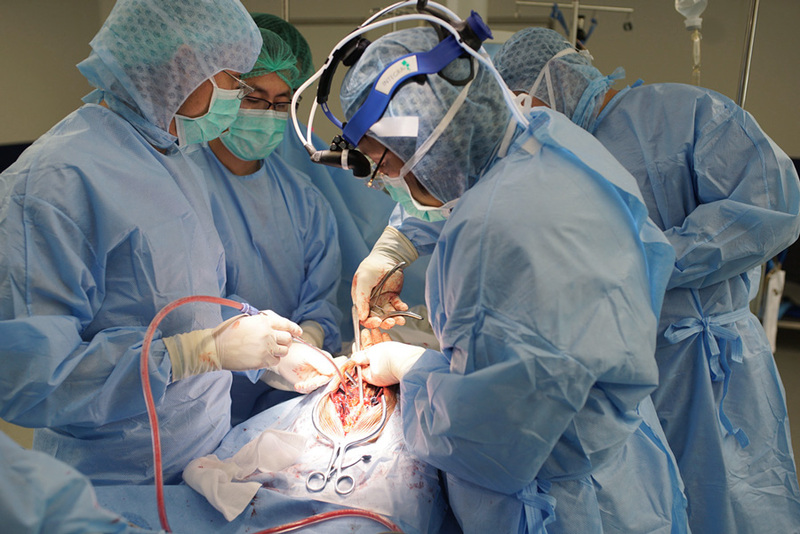 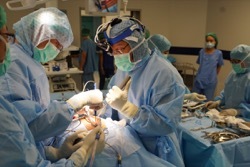 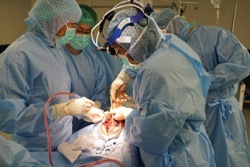 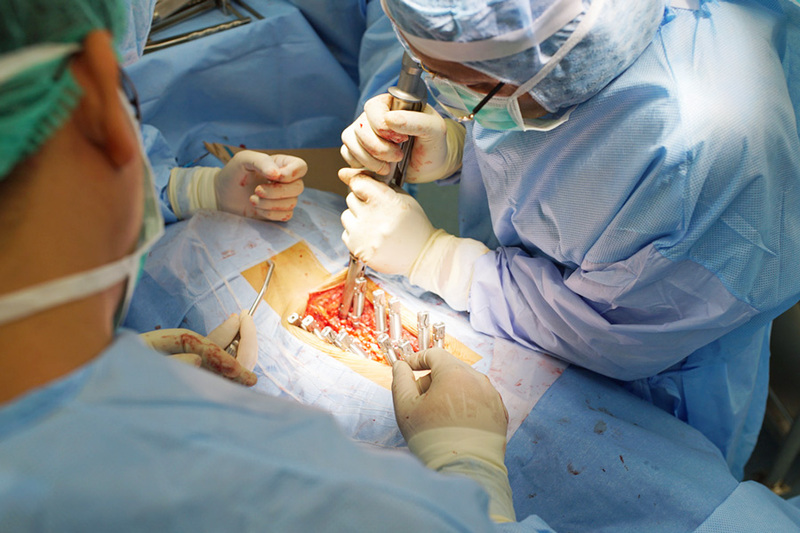 Professor Min has devoted his entire career to spinal and deformity surgery. 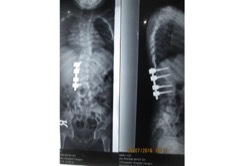 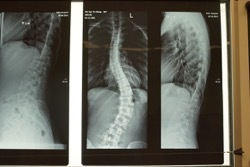 And in 2015 he set up Swiss Scoliosis, a new centre in Zurich for spinal and scoliosis surgery. 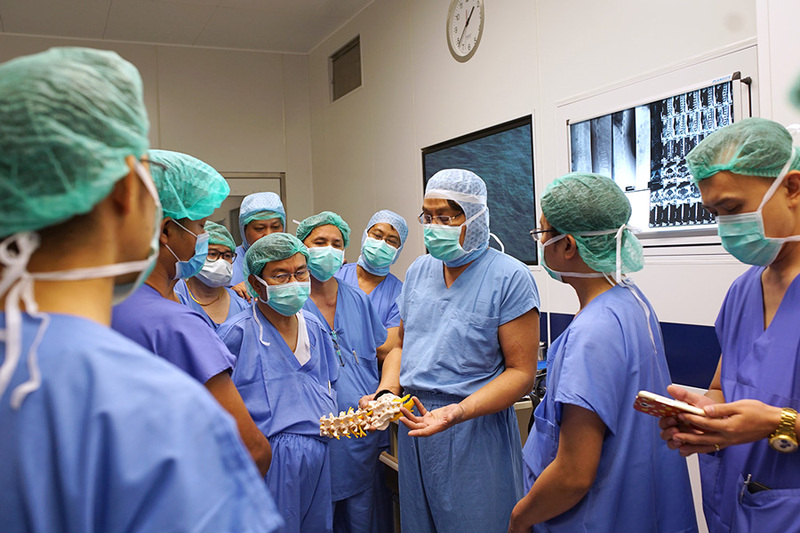 In establishing the Swiss Spine Foundation, Professor Min aims to pass on his vast expertise in the field to young spine surgeons, and to help people and children suffering from spinal problems in the world’s less developed regions. 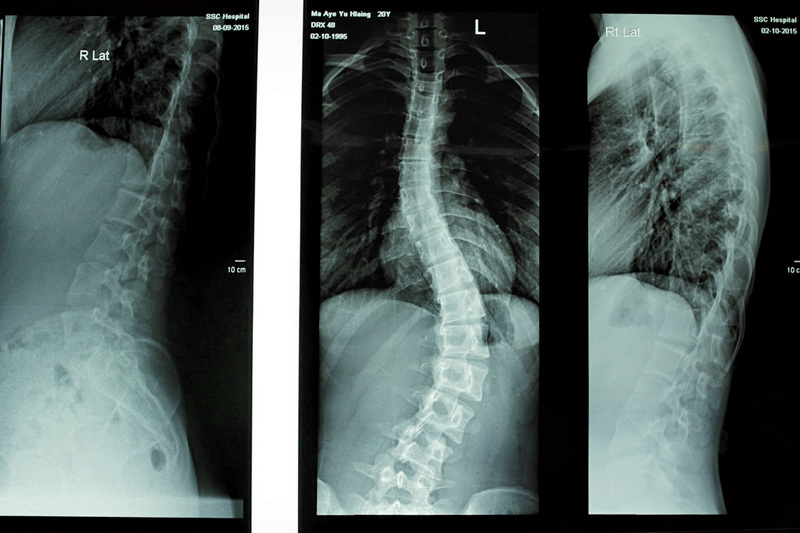 The Swiss Spine Foundation is an independent, non-profit charitable foundation founded in accordance with Art. 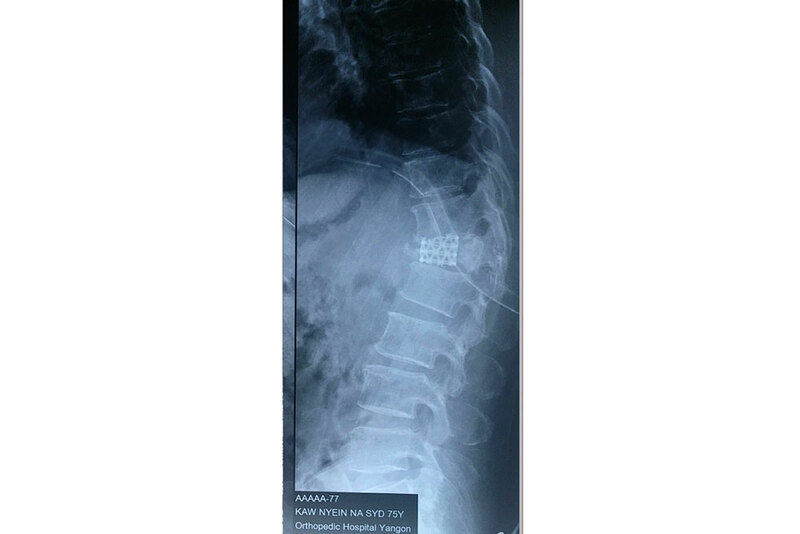 80 ff of the Swiss civilian code. 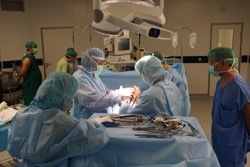 The foundation is registered in the trade register of the Kanton of Zurich. 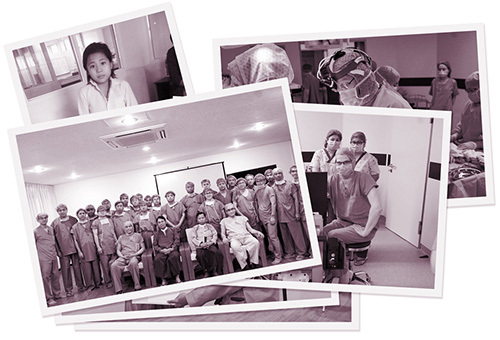 The foundation is located in Zurich, by the head of administration: Ernst A. Widmer, Bahnhofstrasse 48, PO Box 2786, CH-8022 Zurich, Switzerland. 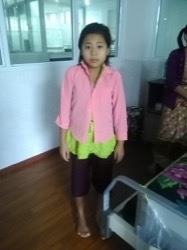 We deeply and sincerely appreciate your support and we are more than happy to also forward to you the respective donation confirmation. As the first visit after founding the Swiss Spine Foundation, Prof. Kan Min was in Yangon in October 2015. 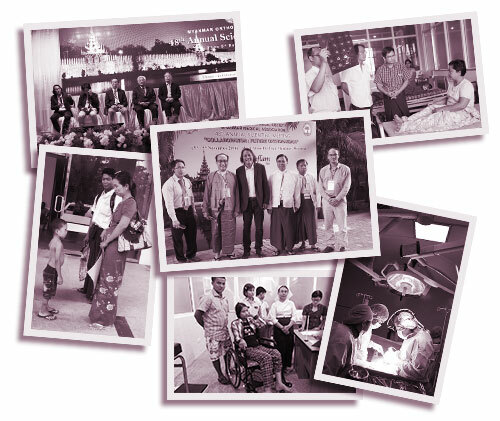 He took part in the opening of first spinal surgery unit, a 50 bedded hospital for spinal patients, in Yangon on the 9th of October 2015. 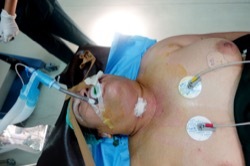 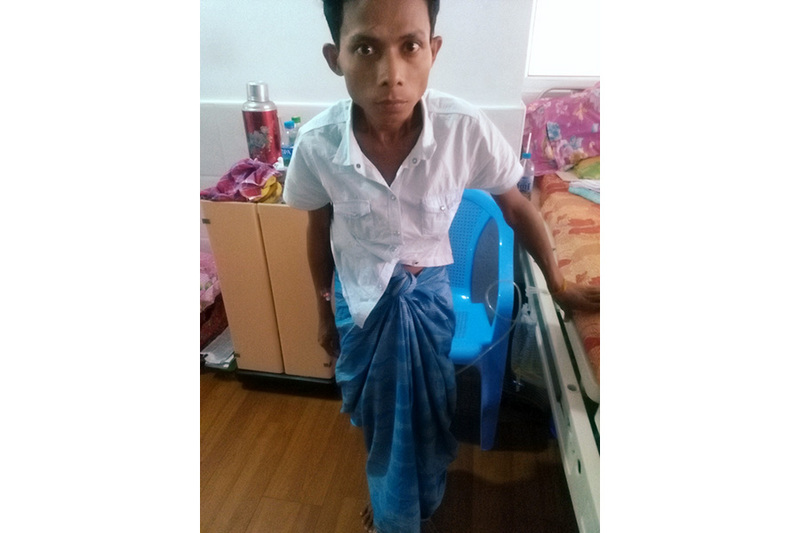 He met spinal surgeons from Yangon and Mandalay, took part in spinal operations in Yangon. 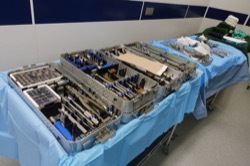 Some surgical instruments are brought in from Zurich. 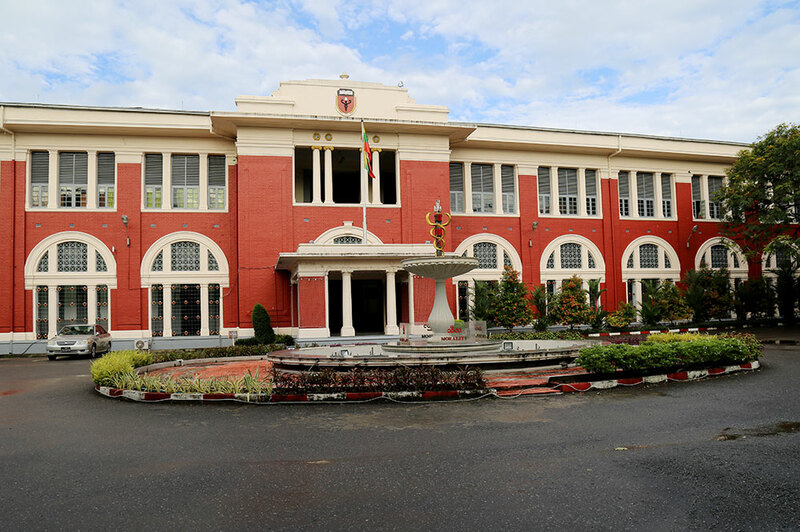 The visit to Yangon is planned for February 2016. 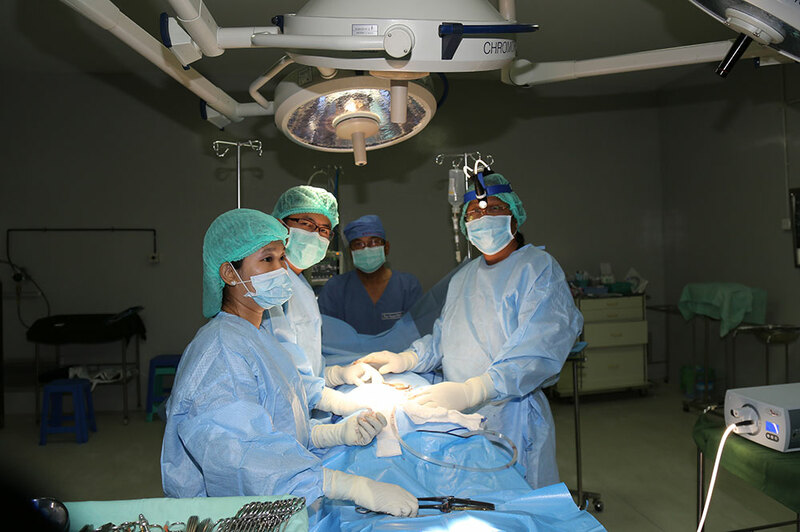 Some surgical instruments and a neuromonitor fort the intraoperative monitoring of spinal cord function will be brought to Yangon for the complicated spinal operations in the children. 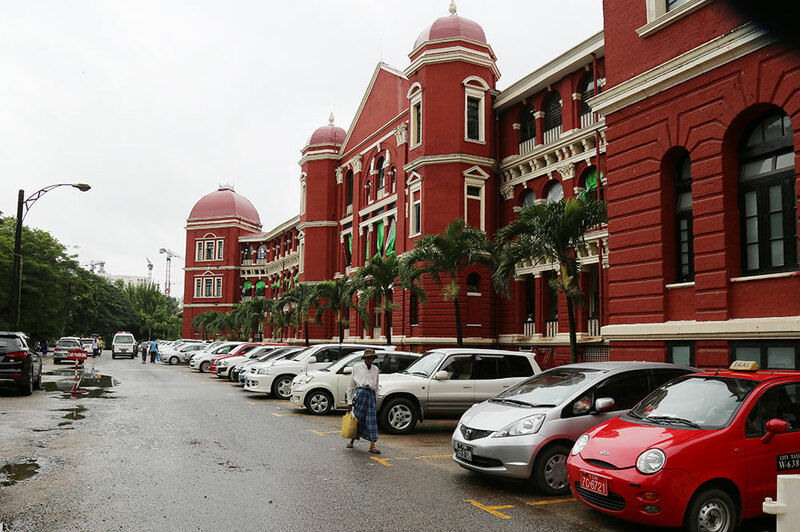 Second visit to Yangon from 7.2.16 to 13.2.16. 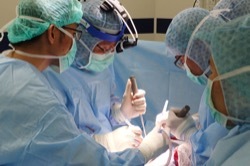 Prof. Kan Min took part in seminar for spinal surgery, attended by orthopedic surgeons from the whole country. The seminar included hands-on surgical training while surgeries were done by Prof. Kan Min in the Yangon University Spinal Hospital. 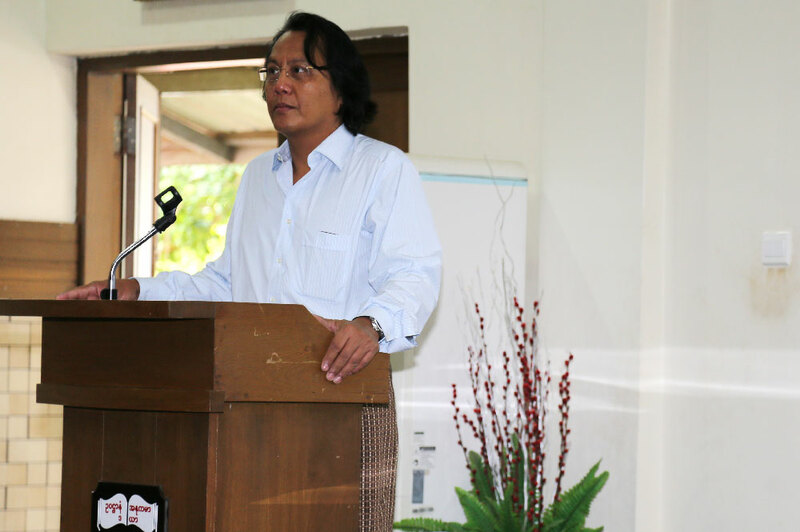 Title of Honorary Professor was awarded to Prof. Kan Min from the University of Medicine, Yangon. 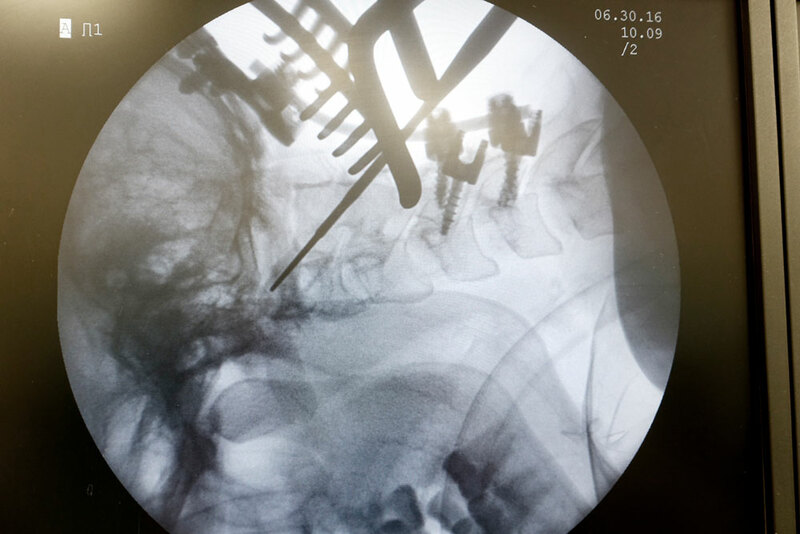 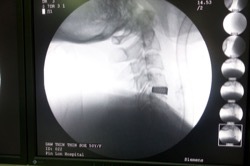 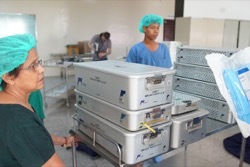 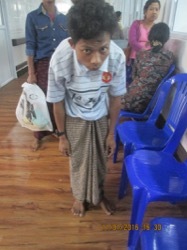 A spinal cord neuromonitor was brought to Yangon to improve safety of the patients during complicated spinal operations. 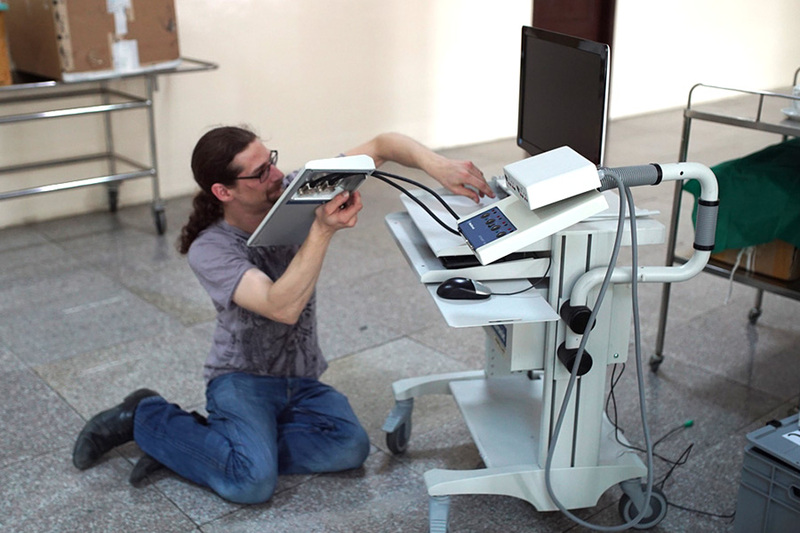 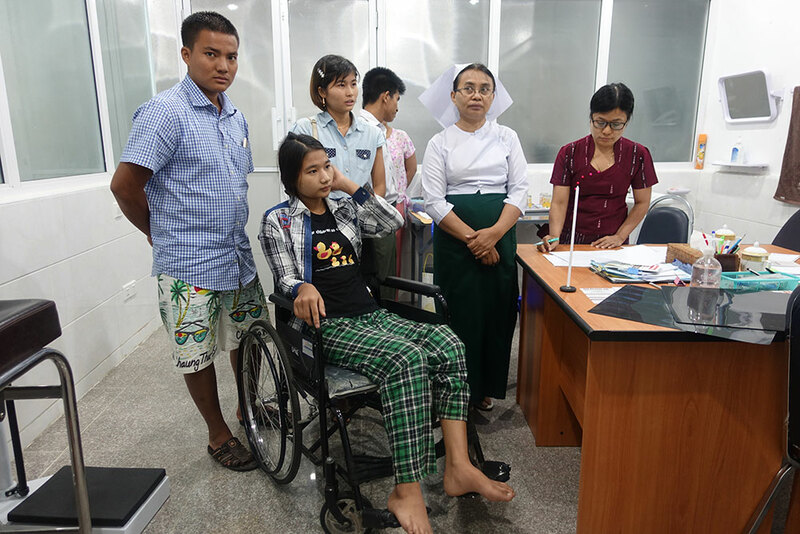 Mr. Manuel Perker from the Neurolite AG company, Switzerland, accompanied Prof. Kan Min and set up neuromonitors in the University Spinal Hospital and Pinlon Hospital in Yangon. 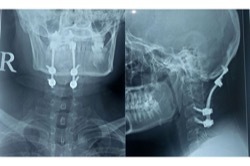 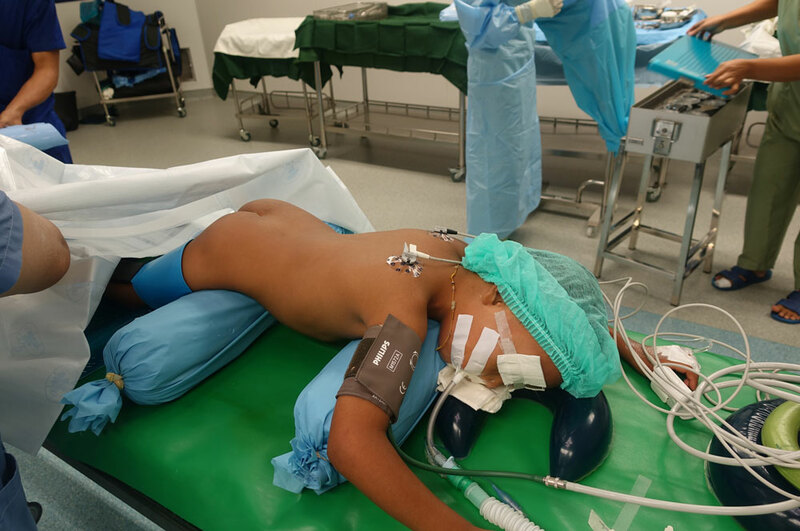 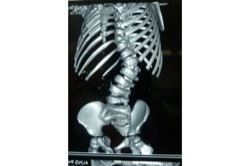 Complicated spinal operations on the children with congenital and developmental spinal deformities were done, all free of charge. Young local surgeons were very enthusiastic to learn first hand. 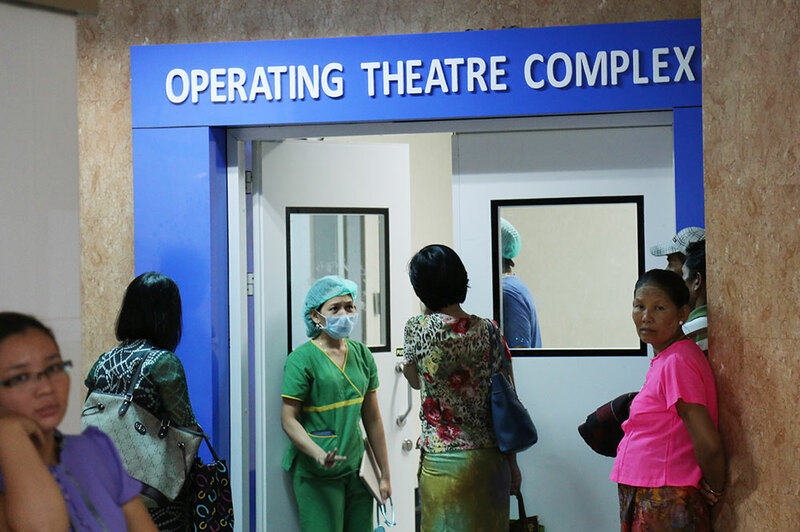 The visits to Yangon are planned for June 2016 and to Yangon and Mandalay for November 2016. 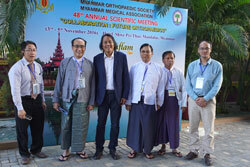 In November an orthopedic congress will be held in Mandalay. 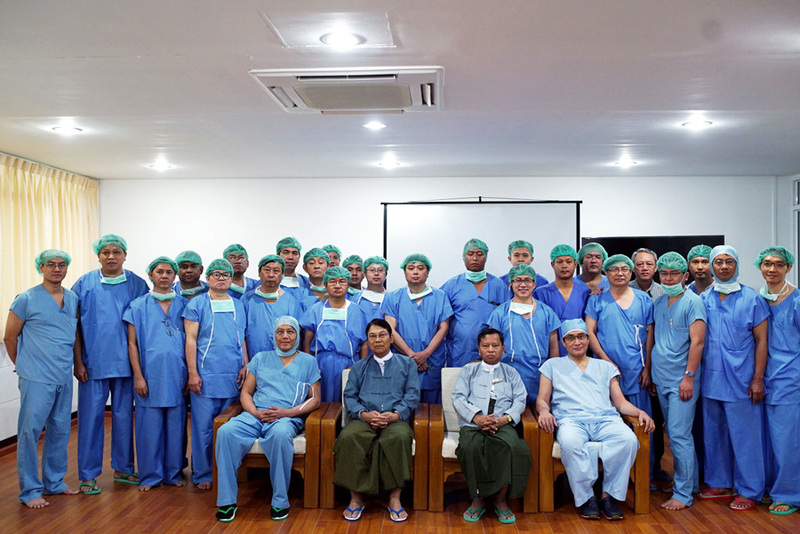 Teaching and operational activities will be done in Mandalay in addition to Yangon. 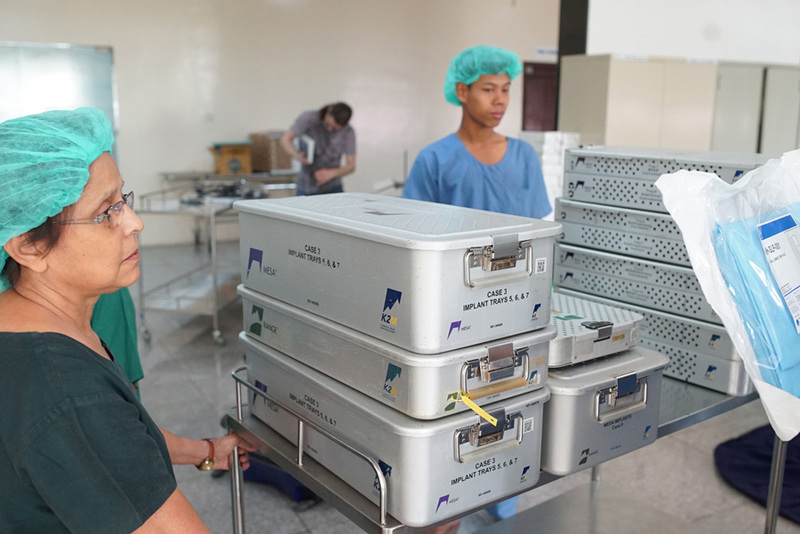 More surgical instruments will need to be brought to Yangon and Mandalay during the coming visits in 2016. 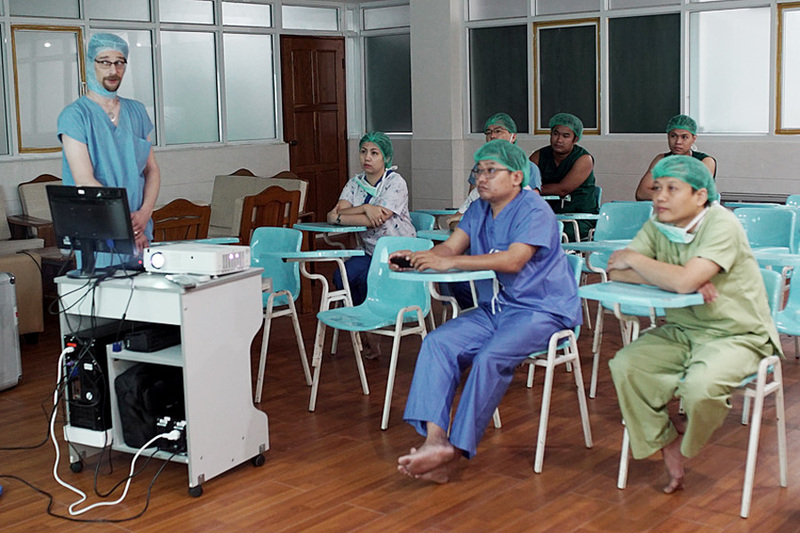 The third visit to Yangon form 26.6.16 to 2.7.16 was a big success. 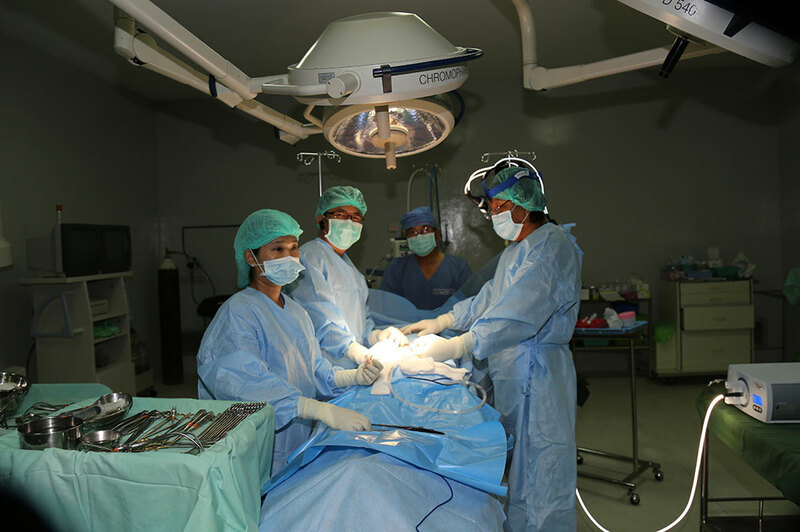 Out patients were seen during 2 days and operations were done during 5 days. 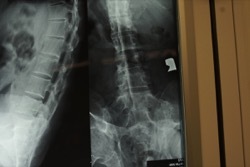 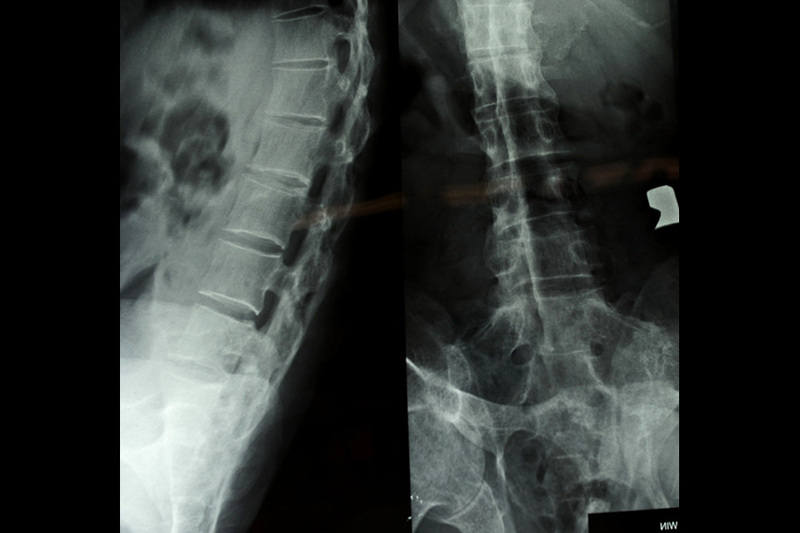 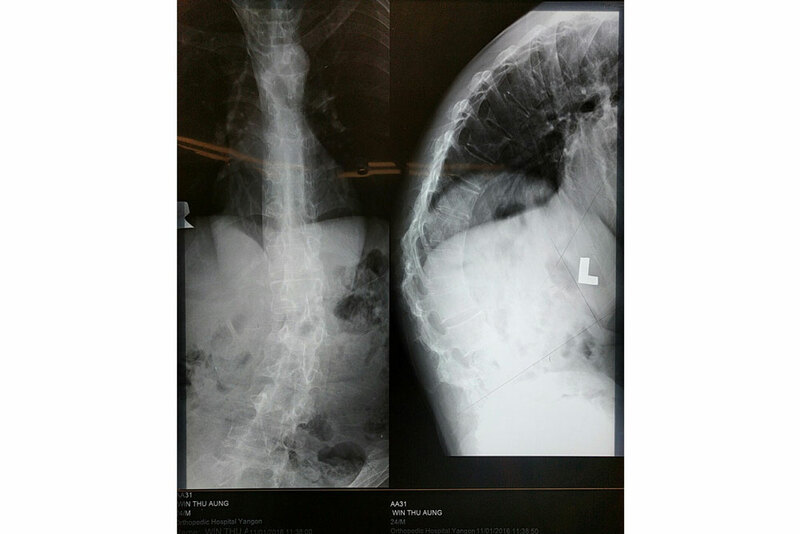 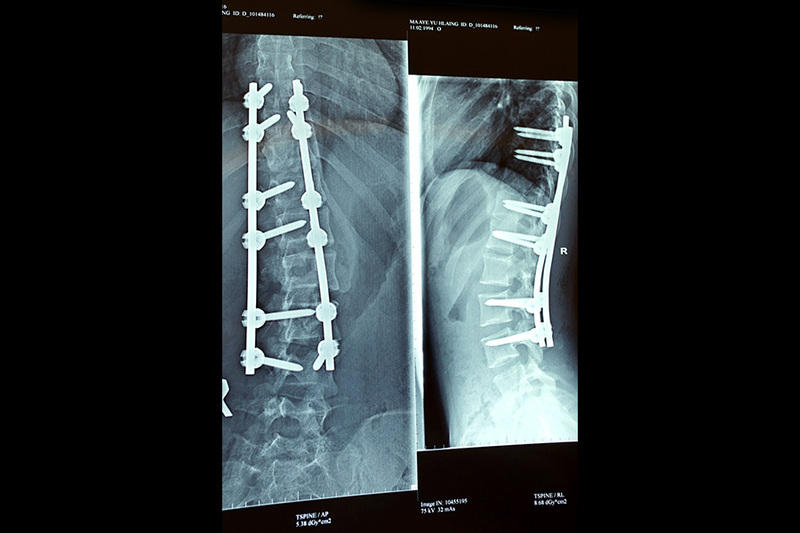 Patients with complicated spinal problems were shown to Prof. Kan Min. During this visit 8 children and 4 adult patients with spinal deformities could be operated. 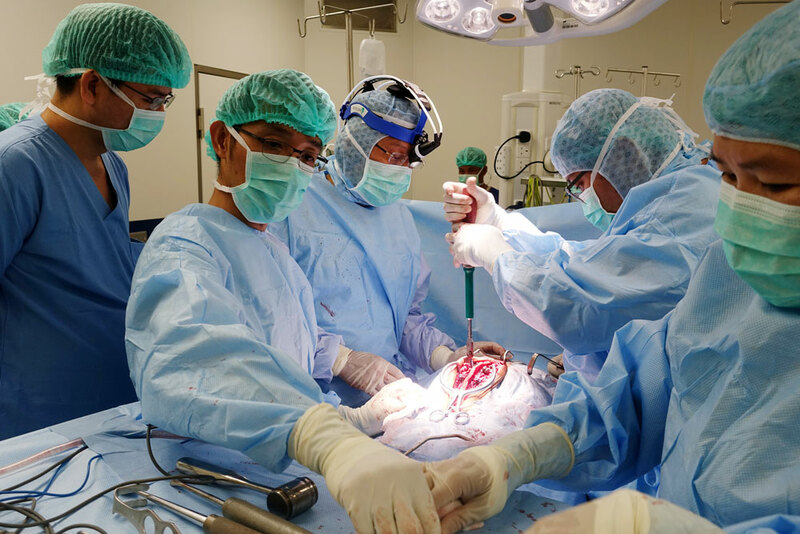 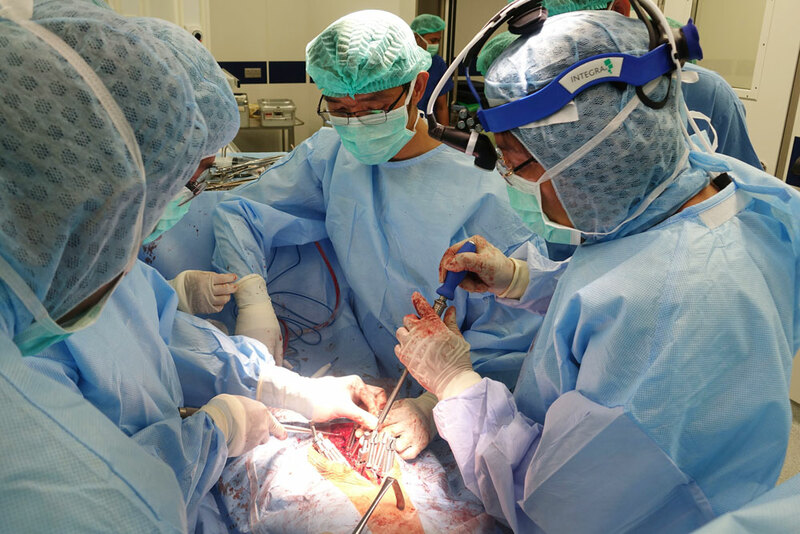 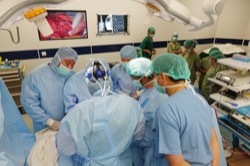 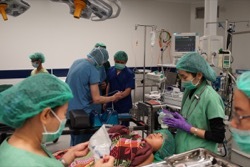 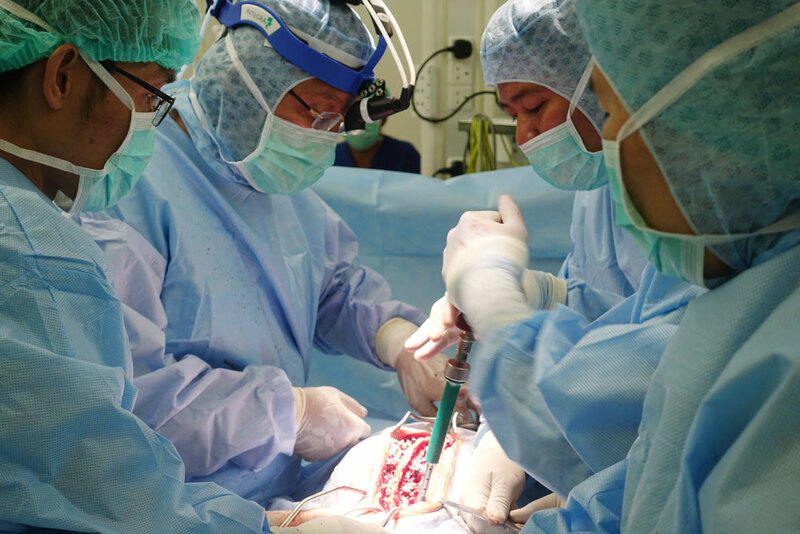 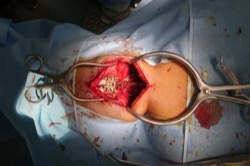 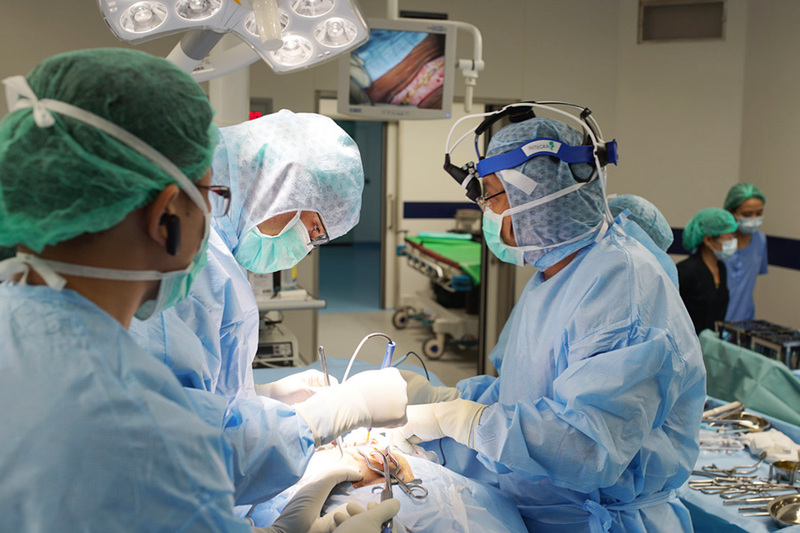 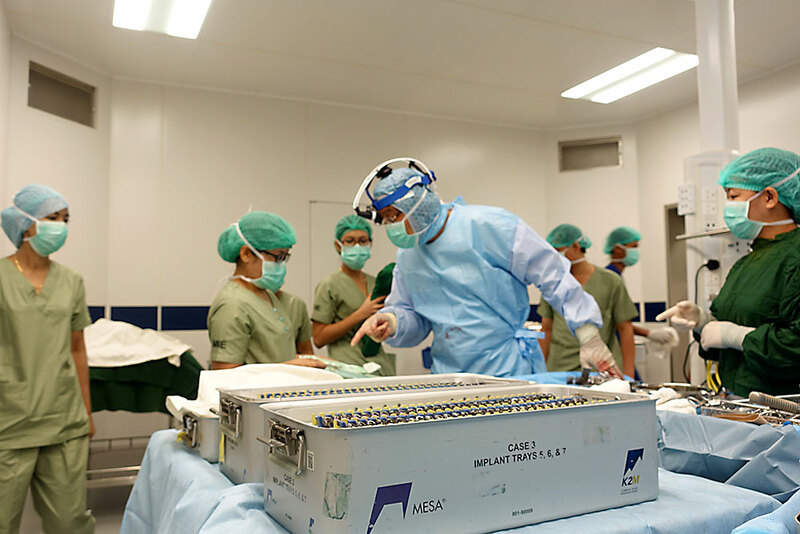 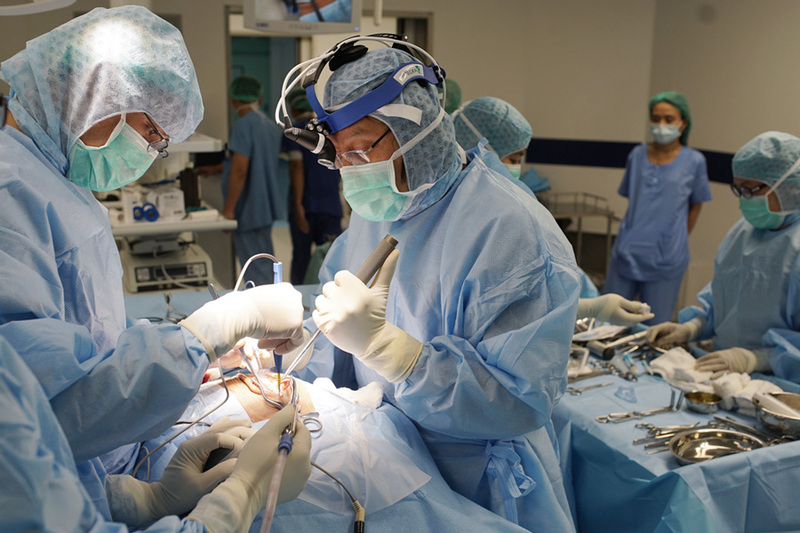 The young surgeons in Yangon could assist the operation and learn the operations directly during the operation. 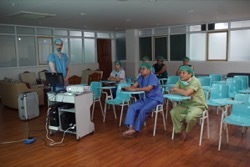 They were very active and eager to learn. 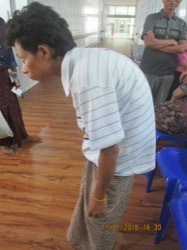 The have accumulated the patients with complicated spinal problems in months in advance to Prof. Kan Min`s visit. 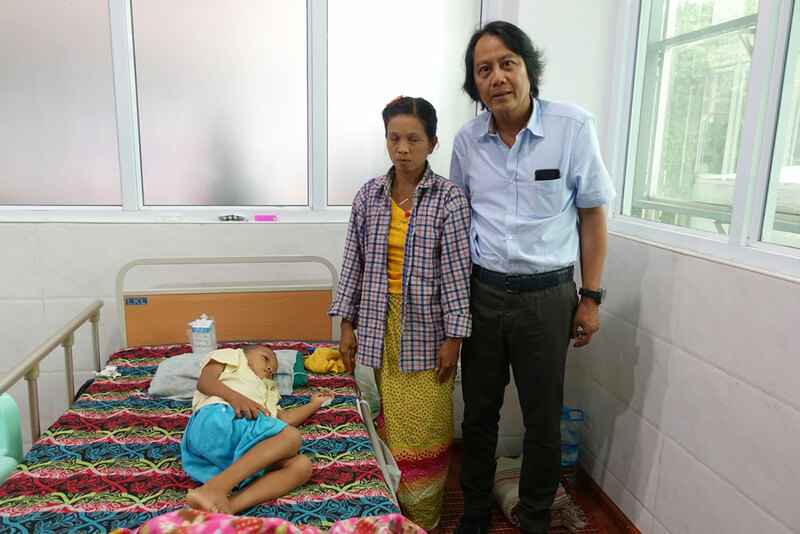 In November 2016 Prof. Kan Min spend 10 days in Myanmar. 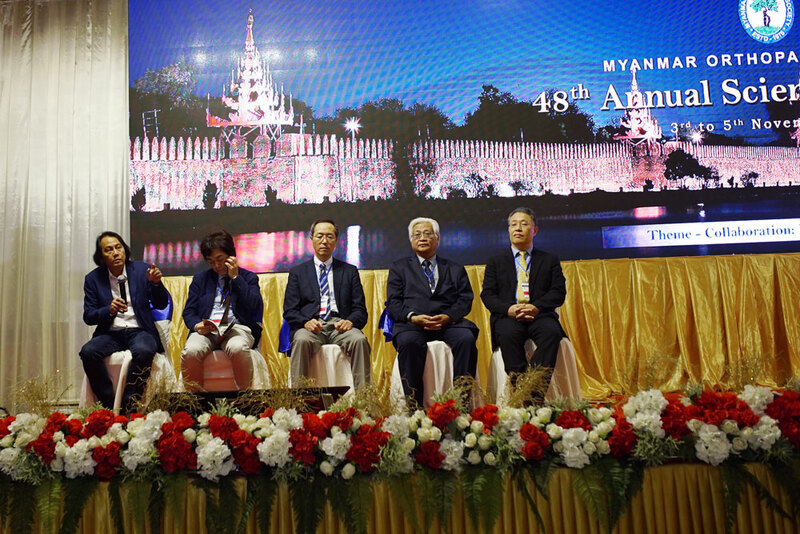 The first two days he has participated in the 48th annual scientific meeting of Myanmar Orthopaedic Society, held in Mandalay, with podium presentations and scientific papers. 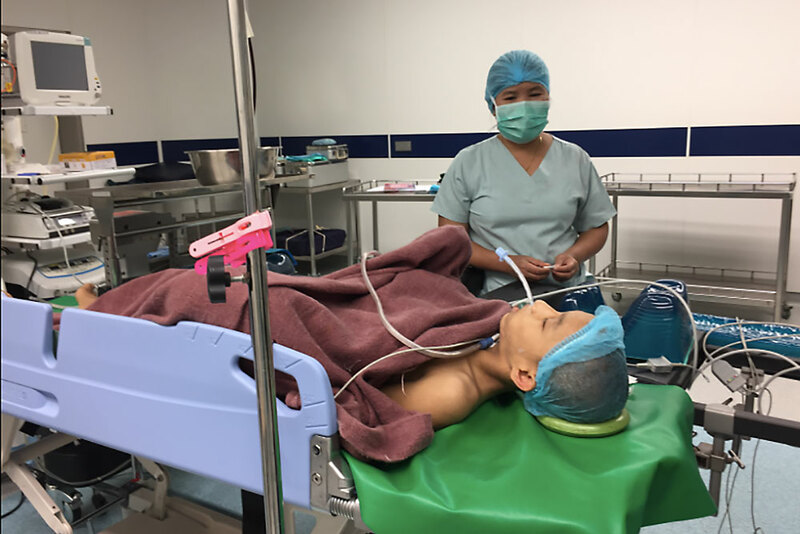 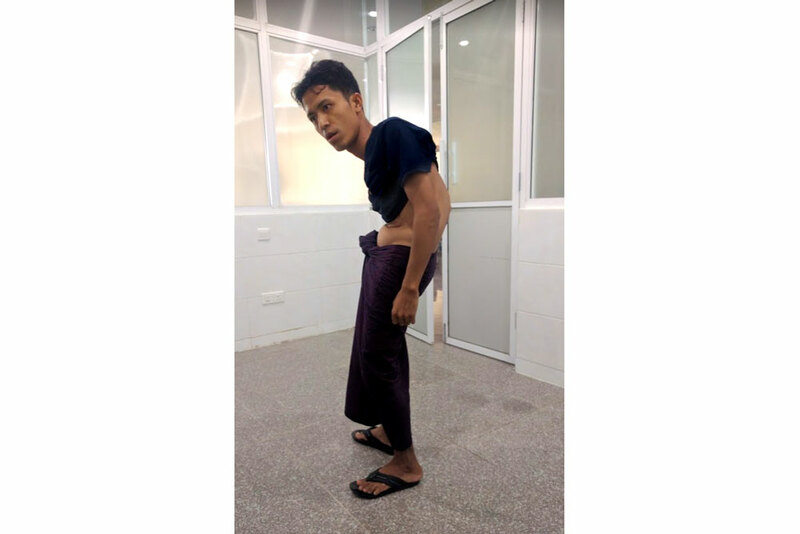 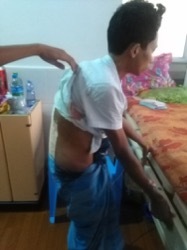 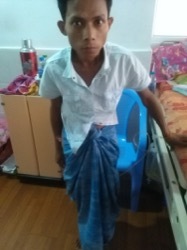 The following week he has operated 8 children and 4 adults with complex spinal problems in the Spine Unit of University of Medicine in Yangon. 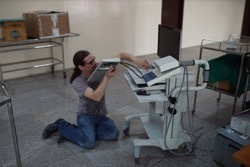 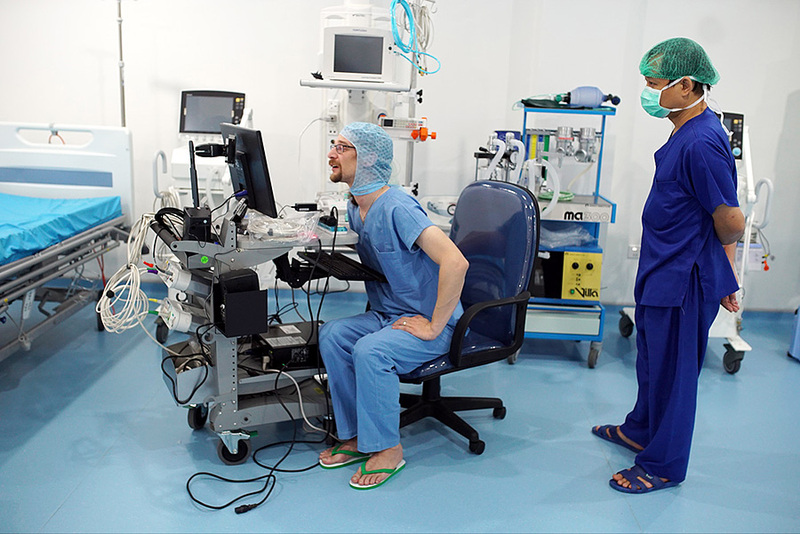 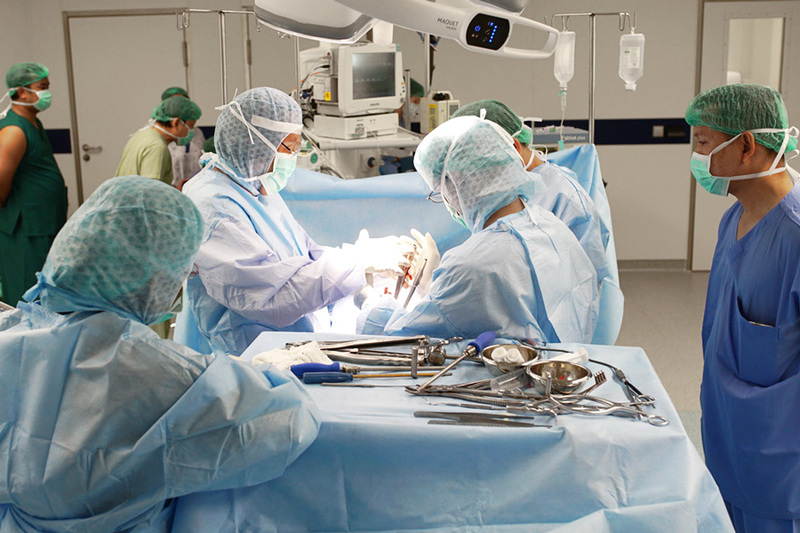 Many new operation instruments and two head-lights sources and optics as well as spinal implants, were brought in from Switzerland to use in this hospital. 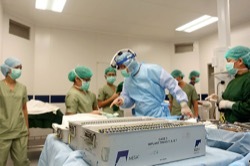 Young surgeons can learn the operation techniques at the operation table.